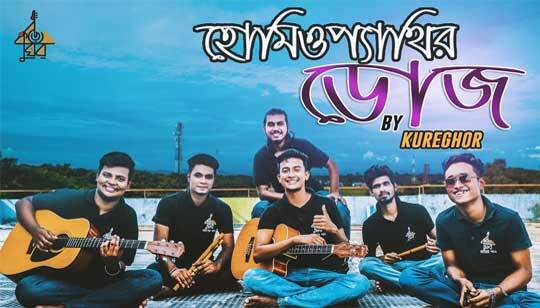 Homeopethir Dose Lyrics by Tasrif Khan from Kureghor Bangla Band: The song is sung by and Bangla song Lyrics written by Tasrif Khan. Composed by team Kureghor Band. Video Directed by Jahirul Islam. আমায় তুমি মণ করো না..